Join us for our 26th year in 2020! We will announce the March dates as soon as they are confirmed. Watch this page and our Facebook page for Breaking News! Our 2019 Annual Report is a great place to remind yourself what makes Festival Fun! 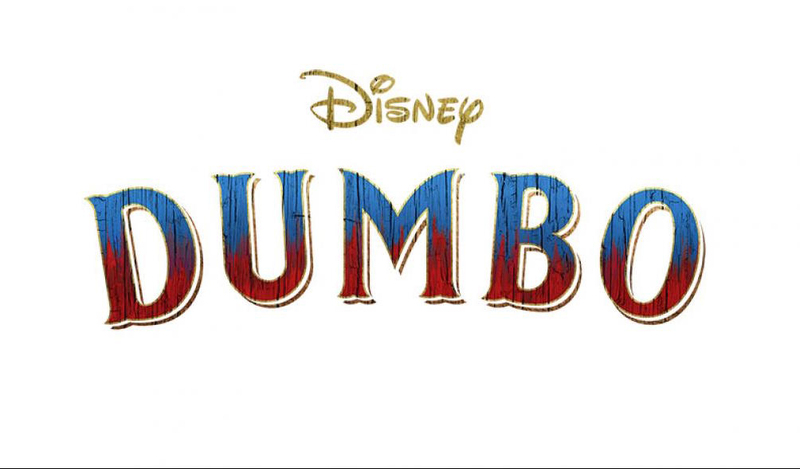 Our Facebook page has a new cover photo! whose picture received 1,127 reactions! This picture will be our cover photo until next year's contest. Mahalo to everyone who posted their beautiful photos! Mahalo! Fa'afetai! Malo 'aupito! Mauruuru roa! 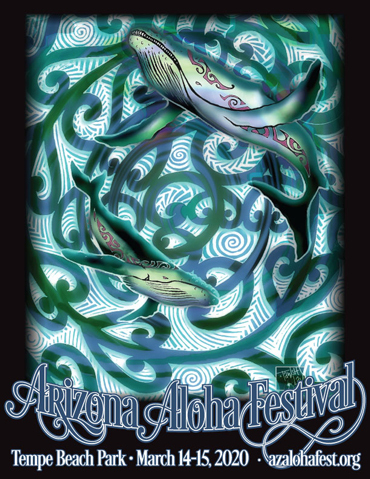 to set up, take down, and have Arizona Aloha Festival. In any language, we can't say 'Thanks' enough! Every volunteer gives us their most precious gifts: time and talent. To all you soda sellers, stage crews, Keiki activities-helpers, teeshirt and raffle ticket sellers, SWAT members, and Aloha Corps members ...we couldn't do it without you! And our gratitude to all Performers, Hale Mana'o presenters, and ukulele teachers who shared their talents and expertise. We also give a shout-out to our wonderful Sponsors who help us make Festival happen...please support them as they have supported us! We are pleased to honor Marguerite, whose dedication to music, dance, costume design, and teaching to all who are willing to learn has been so evident in this community for so many years. Everything she does is done with joy and love. and information about other Kokua Awardees. 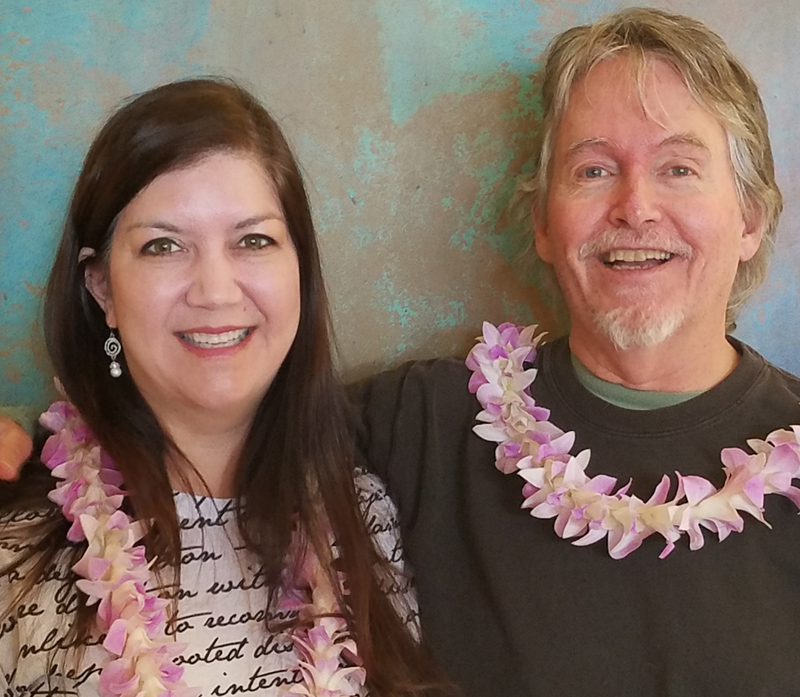 Amy & Bill Harrington Guess who won one of our trips to Maui? Amy Harrington and Nate Herriage did! in a one bedroom oceanfront condo for five glorious nights. Our Raffle Page has more information. 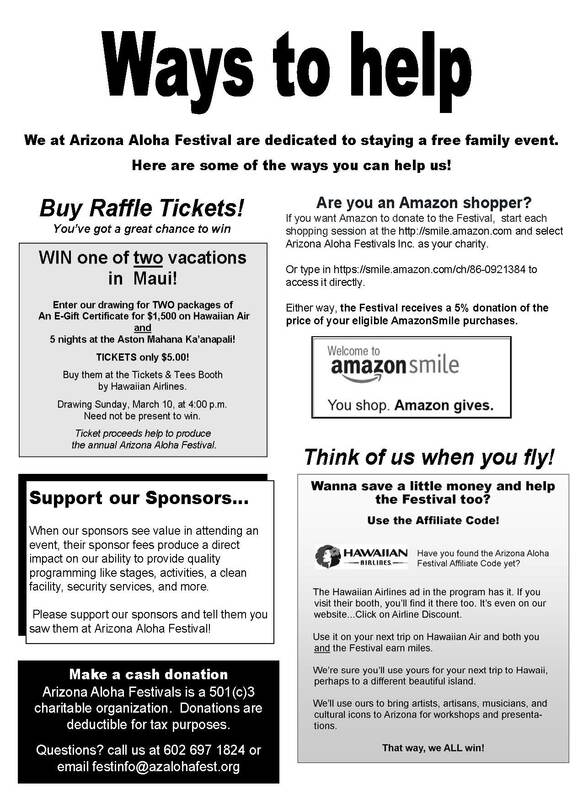 Did you know you can save 5% AND benefit Arizona Aloha Festival too? 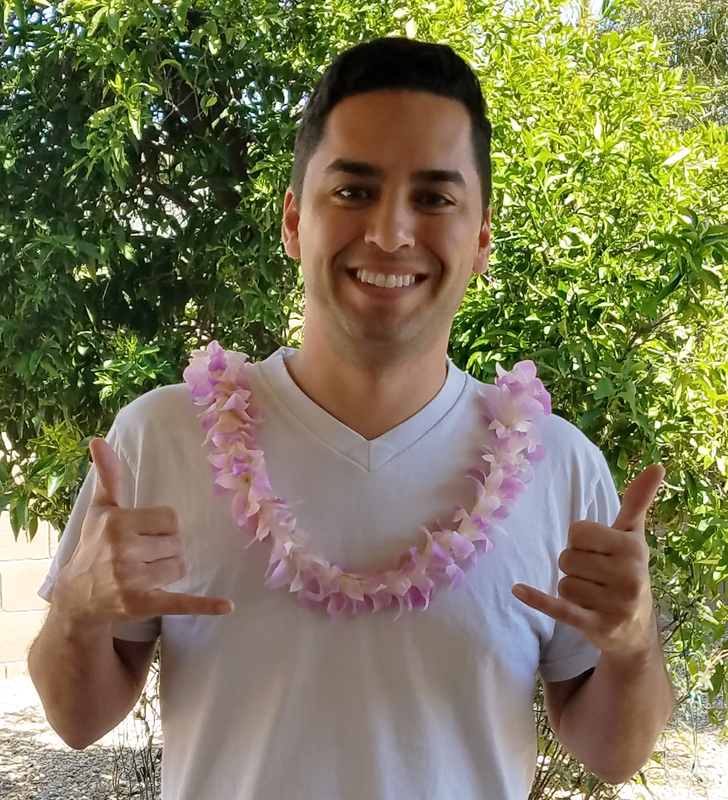 When you fly Hawaiian Air, you get the discount and the Festival earns miles! Do you ever wonder how we keep the Festival free? We compete for grants and gifts by writing proposals. We look for Sponsors and appreciate that you visit them. We collect fees from our vendors. But that's never quite enough. YOU help us too! You buy our Hawaiian Vacation raffle tickets and teeshirts. You buy soda and water from our booths. When you fly on Hawaiian Air, you use our Affiliate Code to save yourself some money and miles are donated to us as well. Some even make cash donations, especially at tax time. You volunteer! And now, you Amazon shoppers can even help through our SMILE account! So when it comes time to pay for the rental of the park; Police, Fire and Security services; the stages and sound; the pickup and haul off of trash (and we like to eat, so there's LOTS of trash! ); and all those tents and tables and chairs...we can do it without an admission fee! 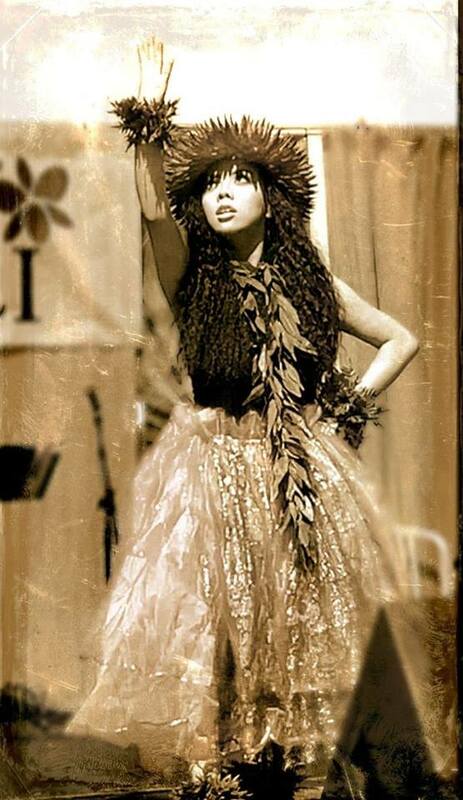 We want the whole ohana to come, enjoy, learn about the rich cultures of the South Pacific, and have a lot of FUN! Share the aloha with us! 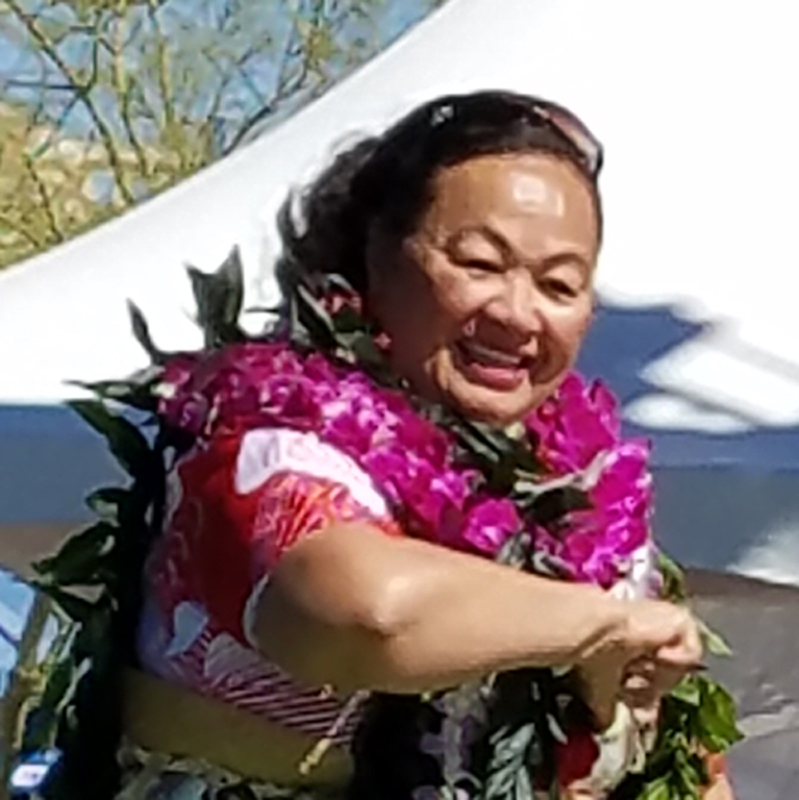 ©2019 Arizona Aloha Festivals, Inc.